In 2014 HIG was selected by the Library of Congress to digitize a significant portion of their unique fire insurance map (FIM) collection, making many of these maps electronically available in color for the first time. The library’s collection includes approximately 1.5 million original maps from all 50 states. HIG initially digitized approximately 500,000 maps that are free of copyright restrictions and date back to 1867 through the early 1970s. In addition, this project added real estate atlases for entire cities, including less developed areas not typically mapped by fire insurance maps companies. 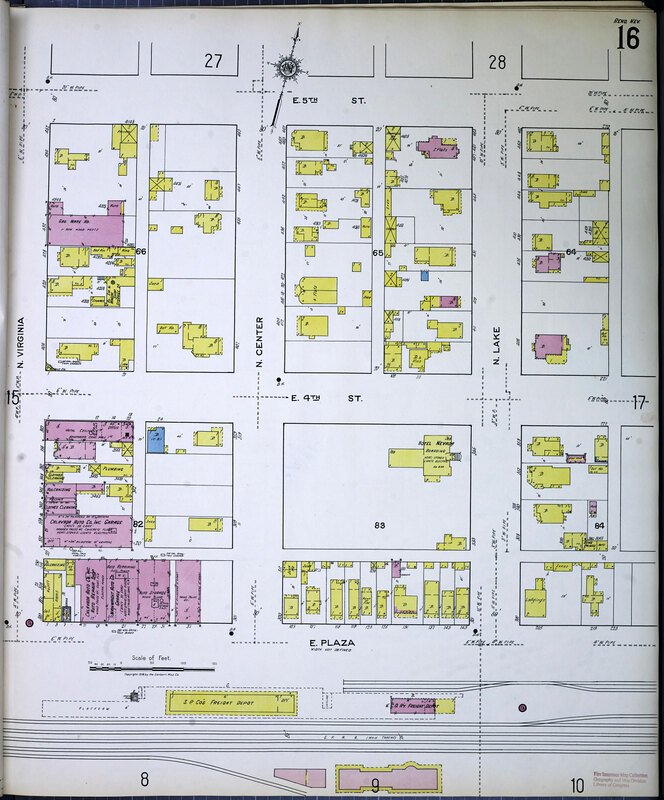 The Library of Congress fire insurance map collection was first scanned in black and white during the early 1990s. However, technology has advanced considerably since then, which is why the Library of Congress recently made it a priority to preserve their maps in color. 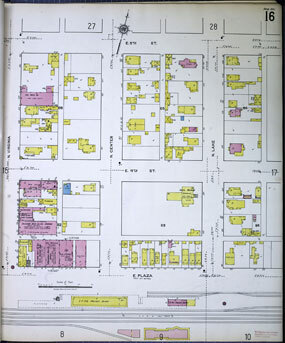 The project used high resolution imaging techniques to preserve these valuable hand drawn maps for future researchers. Digitizing these maps in color allows those who visit the Library of Congress to see details and read text that was previously not visible on the black and white scans. HIG is proud to have been chosen to complete this project, which is one of the largest color imaging projects ever undertaken by the Library of Congress. Throughout the course of the digitization project, the color maps were incorporated into our in-house historical map collection and are now available for purchase from HIG. 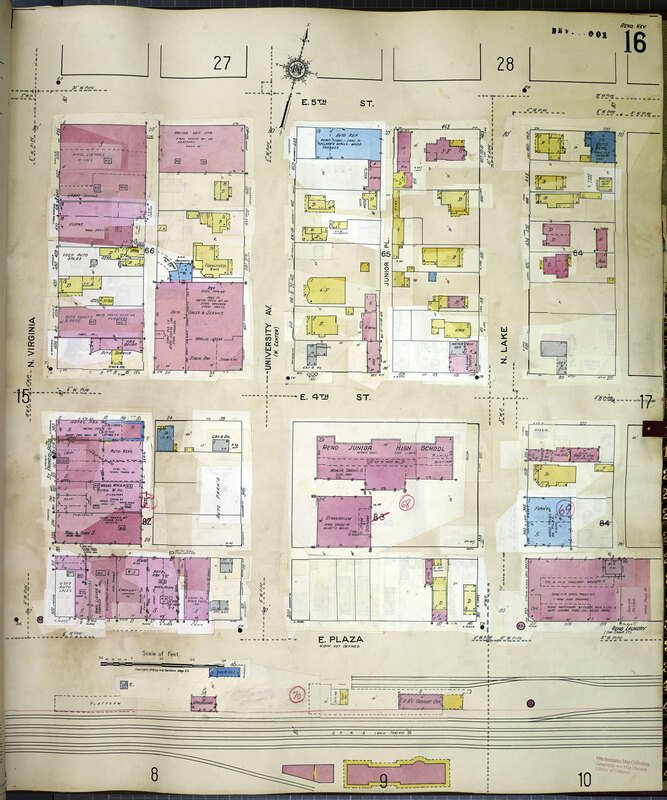 In June of 2017, HIG released a new online subscription service for libraries called Fire Insurance Maps online (FIMo), which includes our collection of FIMs and Real Estate atlases via an easy to use online research tool website. Would you like to see if maps are available for a specific property? Contact us today! Take a look at the level of detail shown on the two fire insurance maps to the right. These samples show the same area of Reno, Nevada in 1918 and again 31 years later in 1949. HIG offers copies of these color fire insurance maps in printed format and a variety of digital formats. For example, HIG has already completed several georeferencing projects covering large urban areas and even entire cities. We used color fire insurance maps to create multiple sets of georeferenced maps, one set for each year of map coverage. These maps are used by government planning and development agencies as well as environmental professionals conducting Area-Wide Brownfield Assessments. These assessments are eligible for EPA grant money that is set aside to identify and prioritize properties within neighborhoods or along commercial corridors for cleanup and redevelopment. For more info about our experience with Area-Wide Assessments and Corridor Studies, read about our GIS services. HIG plans to georeference maps digitized during this project to make them easy-to-use with existing computer mapping systems. As buildings, properties and cities change over the years, these old maps need to be georeferenced using common landmarks that are also present on current maps or aerial photographs. This allows the maps to be used as historic map overlays that provide more spatial accuracy and less distortion of scale. HIG is committed to helping you uncover information that is as accurate as possible and to help you build a detailed history of property uses. If you are interested in purchasing large sets of digital maps, please contact HIG President David Hodnefield at 952-253-2004 ext. 111 or davidh@historicalinfo.com.